I have no qualms about saying Singapore is easily one of my favourite places in the world to visit and I would love to be able to spend more time there than just a quick holiday. Thus far we have been to Singapore at least 5 times and haven’t even scratched the surface of what is available to do. Much of the activity in Singapore revolves around the River and the Harbourfront. 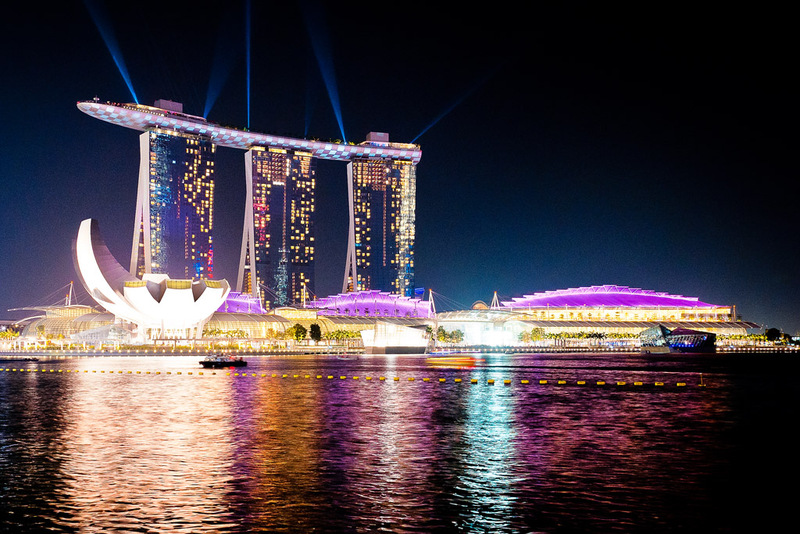 This is the spectacular Marina Bay Sands hotel and casino – by night its quite impressive. Singapore is a cleaner, more efficient version of almost any city in Australia (I am from Brisbane and it certainly is cleaner). It is often regarded as one of the most westernised of all the Asian capitals, and to a certain point it is, but if you dig a little deeper you will find a place that really does capture you and makes you love it. There are 3 distinct cultural districts in Singapore – Little India, Chinatown, and Arab Street. Orchard Road is another area that could also be classed as a Cultural District (Shopping is a Cultural Activity isn’t it?). It is the kind of city that you look at on a map and everything seems so spread out. However, most of the main tourist sights are within walking distance – however the heat and humidity can sometimes make you feel like you have walked a marathon! I have always found Singapore to be one of the safest places in the world, we have walked the streets well after midnight and been in some dark alleys but never felt at risk – obviously use some common sense here – there is crime in every city so don’t make yourself an easy target. Weather: Singapore is located in the tropics close to the equator – as soon as you step out of the airport you will be struck by the humidity, if you are not used to it you can really get zapped if you don’t keep your fluids up. It is also not uncommon for an afternoon downpour, generally I have found that the pressure starts to build throughout the day and towards 3pm it will bucket down. You can always tell when it’s close because the street vendors will all start covering up their merchandise and then BANG the rain hits. Generally these showers only last about 30 mins and then clear leaving a cool clear evening! Getting from the Airport: The first thing I want to say about Singapore Airport is it is fast an efficient, no matter how hard you try your bag will usually always be at the carousel before you are! Only airport in the world I have experienced that. The airport is located quite close to the city so you can get to and from via, Train / Taxi/Bus. The train is by far the cheapest but if you have luggage and are unfamiliar with the city I would suggest this might not be the best option. We always choose the Airport-Hotel Shuttle Bus – it is only $9.00 per person and drops you right at the door to your hotel. Really easy to find, once you are out of customs look for the Ground Transportation signs pay at the counter and wait till they call you to the bus. Hint: Grab a brochure on the bus (or at the stand) and you can actually ring and pre-book them for your return journey. Taxis are also a good option, note however that they do generally have a limited boot space for luggage and depending on the time of day you could get stuck in traffic. Singapore has one of the best laid out and most efficient public transport systems I have experienced. The MRT (underground train) is very handy, with stops in all the major destinations always on time and really efficient. HINT: The first thing you are going to want to do is head to the nearest MRT station and buy yourself a EZ-Link card – these are a smartcard that you use to pay for your bus and train travel. It comes loaded with a small amount of credit and I suggest starting with approximately $10 in credit. $10 might not seem like much but you will be able to travel for a few days on this amount. If you are only staying a day or two you may prefer to just buy Single tickets for each journey, this is still quite easy, with machines located at each station and clear instructions. Bus travel is also quite good – they are well signposted and they ply almost every corner of the island. Taxis are also in plentiful supply, they are air-conditioned and the drivers seemed to be quite honest and genuine – they often went out of their way not to rip us off. Something to be aware of though is that in heavy traffic you could be sitting for a while and at certain times there is a congestion toll that will be added to your fare. Still that said most journeys are between $10-$20. If you prefer the convenience of a hop-on-hop-off tourist bus there is a company that runs these, they are about $10, the company also does water cruises so you can see the city from the water – http://www.ducktours.com.sg/hippo.php. 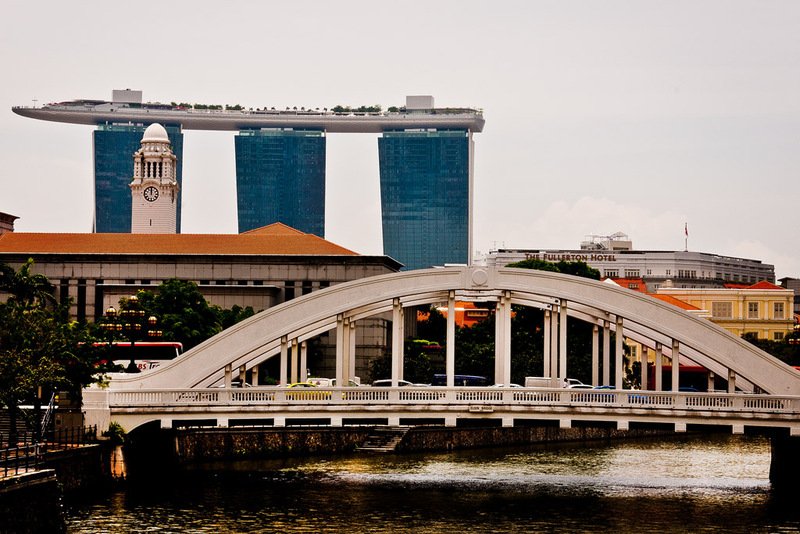 English is the main connecting language in use throughout Singapore – the people of Singapore come from a variety of areas, from Malaysia, China, India, Indonesia – as such the main connecting language is English, so it is widely spoken and most signposts are in English. The currency is the Singapore Dollar – ATM’s are available throughout the city as are certified money changers. Most major retailers will also accept the main Credit Cards – however I do suggest you try to pay in cash as the fees for foreign exchange and transfers on Credit Card can be quite high, often atleast 5-7% of the purchase price. the shots you took are really very impressive!